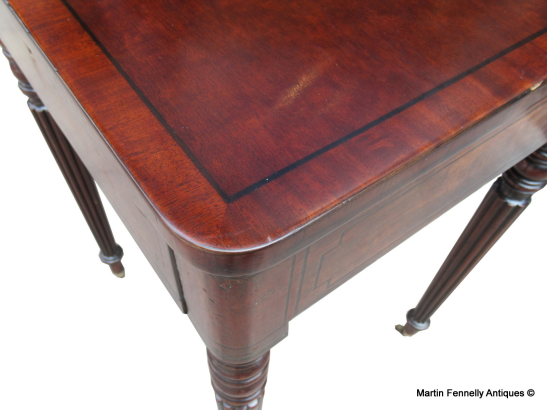 This superb piece by one of England's most famed furniture makers, Gillows of Lancaster, is truly a wonderful example of their work and in great condition. 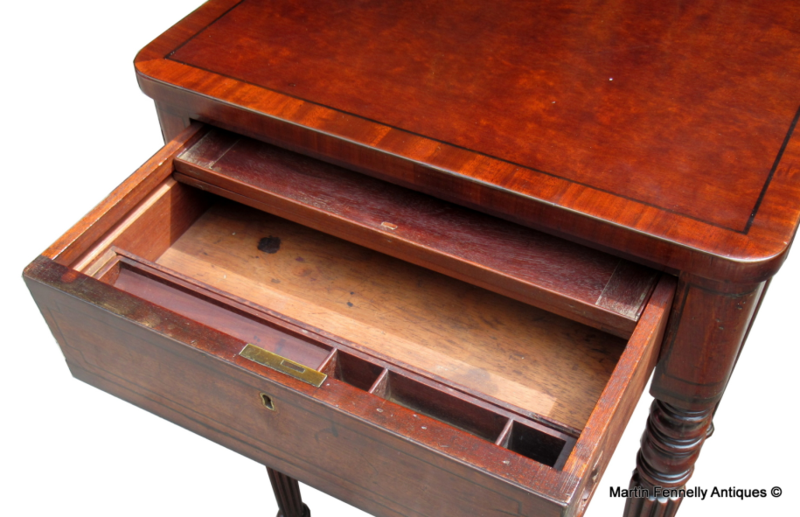 This small desk is made from the finest Plum Pudding Mahogany, Ebony Stringing and Crossbanded in Goncalo Alves. 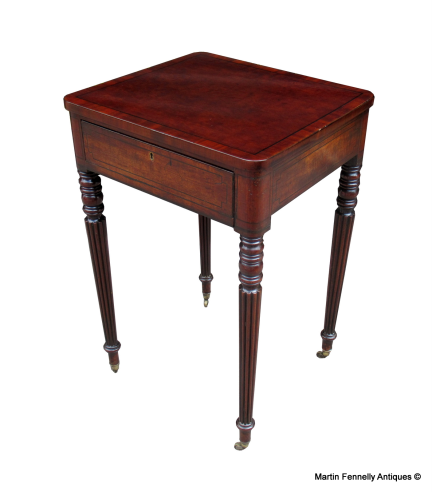 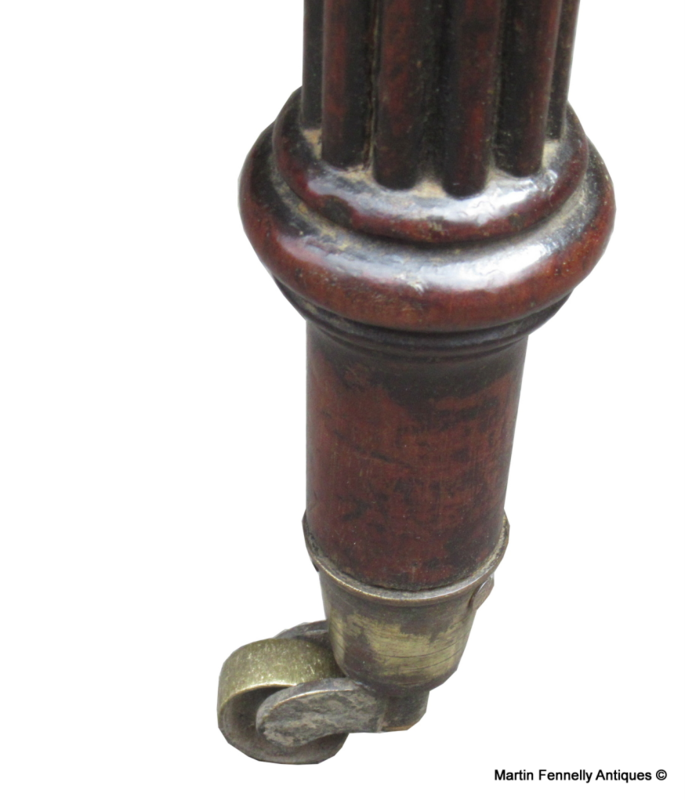 The single drawer opens to reveal a storage area and the piece is raised on 4 Turned and reeded legs all above the original castors. The Piece in the opinion of 3 of Ireland's most distinguished Antique Dealers is most certainly by Gillows of Lancaster and I located it in Northern Ireland. 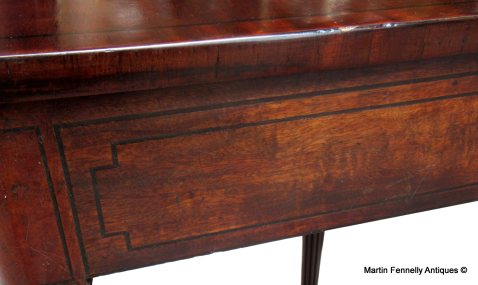 The provenance is excellent on this piece and it is of no surprise that it is a pedigree piece when one takes in to account the stately surroundings where it was residing.